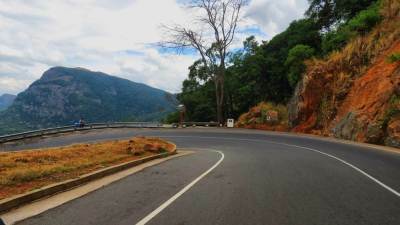 Road condition is excellent along A26 road (Kandy to Mahiyangana). But some by roads conditions are bad. 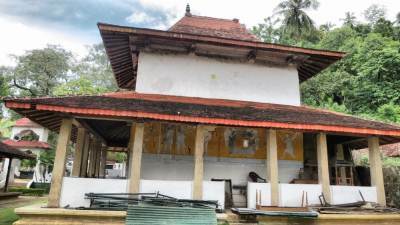 Mahaweli Raja Mawatha is under renovation at some places. 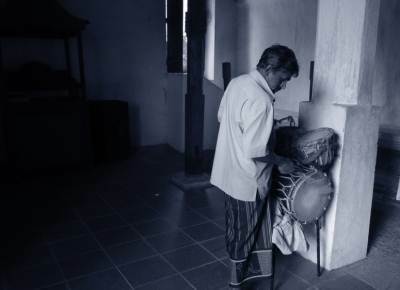 When you visit at old temples, first meet chief priest or a priest and explain your purpose of visit. Nowadays attitudes are so different and always think as treasurer hunters. 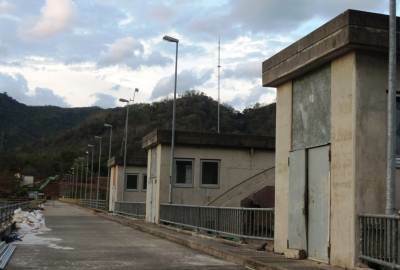 Victoria dam observation point is opened from 8.00am to 4.00pm for visitors and no need permission. 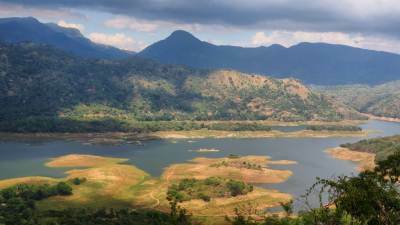 To visit Rantambe and Randenigala dams and power station, you need prior permission or contact. I got it via one of my friends working at CEB. 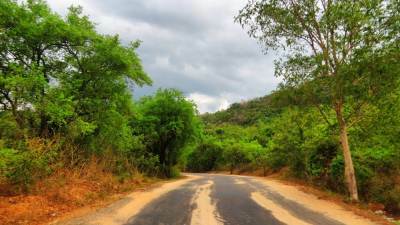 Wild elephants are roaming along this road. Therefore be careful in late evening. Intercity train from Colombo to Kandy doesn’t have a luggage compartment. Therefore we sent the bike via previous day night mail. **Special thanks** Mr. Asanka and Mr.Nuwana-Engineers in CEB. 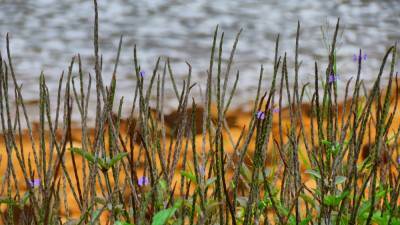 Related Resources “Sirilaka Asi Dutu Than” by Mr.S.P.S.Perera. 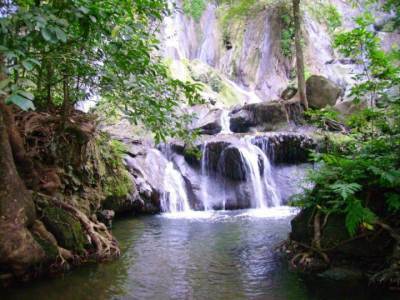 Dumbara valley is rich in ancient places and surrounded by beautiful mountains and forests-Knuckles and Victoria-Randenigala-Rantambe sanctuary. 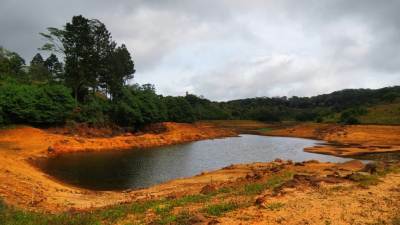 This beauty was disturbed to some extent four decades ago after building great reservoirs. 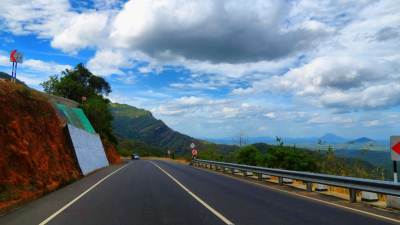 Our target of this trip was to visit at important places when we travel from Kandy to Mahiyangana via A26 and coming back along Mahaweli Raja Mawatha (මහවැලි රජ මාවත). 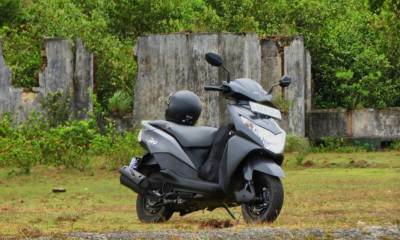 We selected a motor bike as our transport mode. We sent the bike from Pettah to Kandy by train and collected it from Kandy. We were able to visit at following places in our visit for two days. 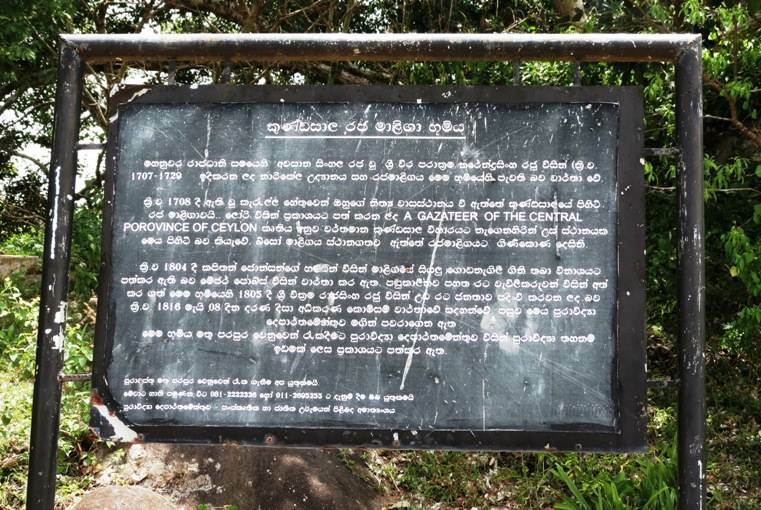 Keerthi Bandarapura (කීර්ති බණ්ඩාරපුර) ancient dewalaya. 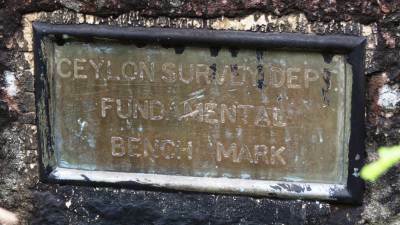 Starting point is shown by yellow star at Kandy. Yellow arrows show the route we went. Approximate places of visited sites are shown by numbers. 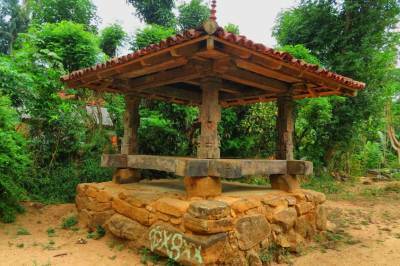 We turned from Boowelikada (බූ වැලිකඩ) junction to Lewella and visited at this ancient temple. 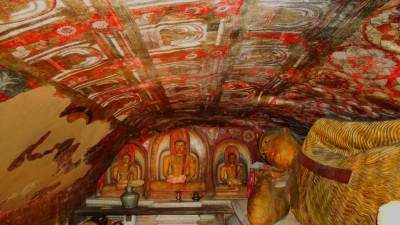 It has a standing Buddha statue, image house with old paintings, Magul Maduwa (මගුල් මඩුව) and stone inscription to see. 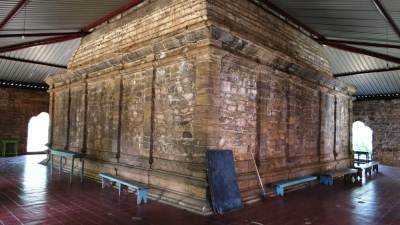 This temple was built by King Kirthi Sri Rajasingha කීර්ති ශ්‍රී රාජසිoහ රජතුමා (1747 – 1781). 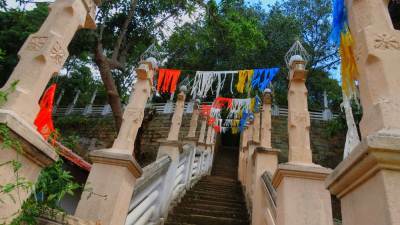 The temple is named “Gangarama” due to its location near the great Mahaweli River in Lewella. 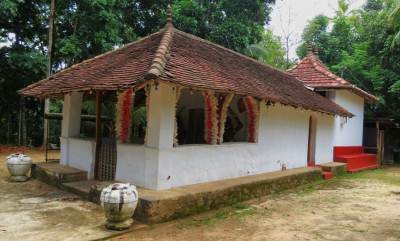 Gangarama was earlier associated with the educational activities of Welivita Sri Saranankara Thero (වැලිවිට සරණoකර හිමි). 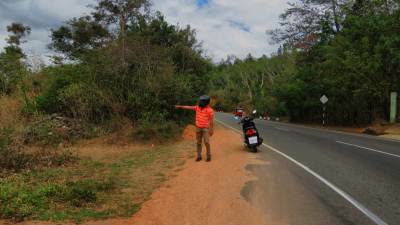 Then we continued along the same road and got direction to Degaldoruwa RMV. 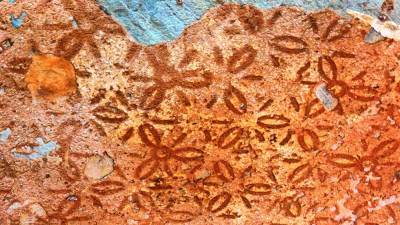 (Clarify the way from villagers). 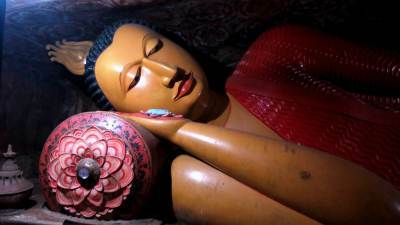 Degaldoruwa RMV has an image house with old paintings and seven Buddha statues. 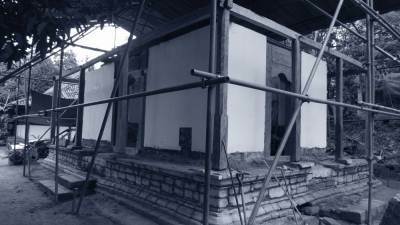 Ancient chapter house is under renovation. 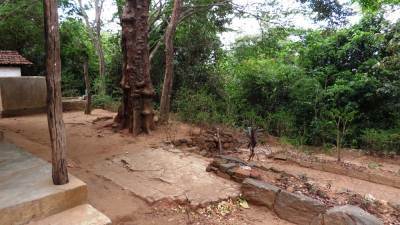 Ancient Paththini Dewalaya (පත්තිනි දේවාලය) is situated few meters away from main temple. 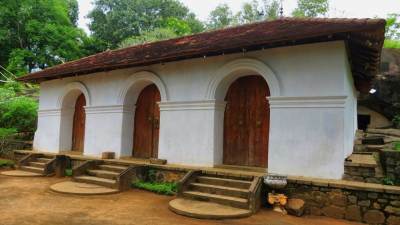 Degaldoruwa RMV was built by King Kirthi Sri Rajasingha (1747-1780) and later completed by his brother King Rajadhi Rajasingha (රාජාධි රාජසිoහ රජතුමා) after king’s death. 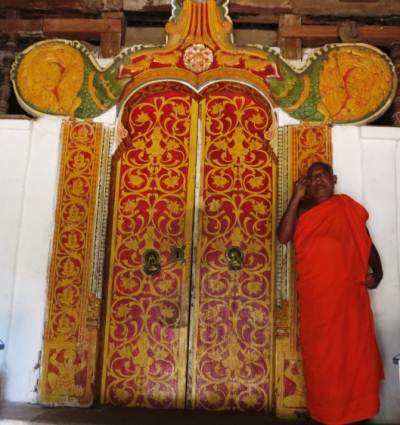 After the work has been finished temple was handed over to his teacher Moratota Hamuduruwo (මොරතොට හාමුදුරුවෝ). 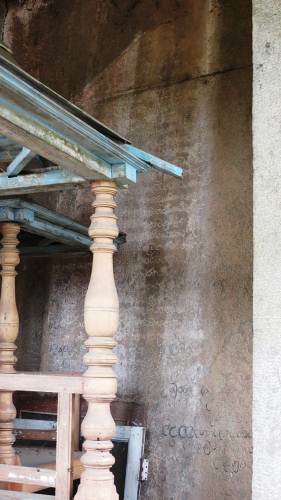 Four painters participated in painting this image house. 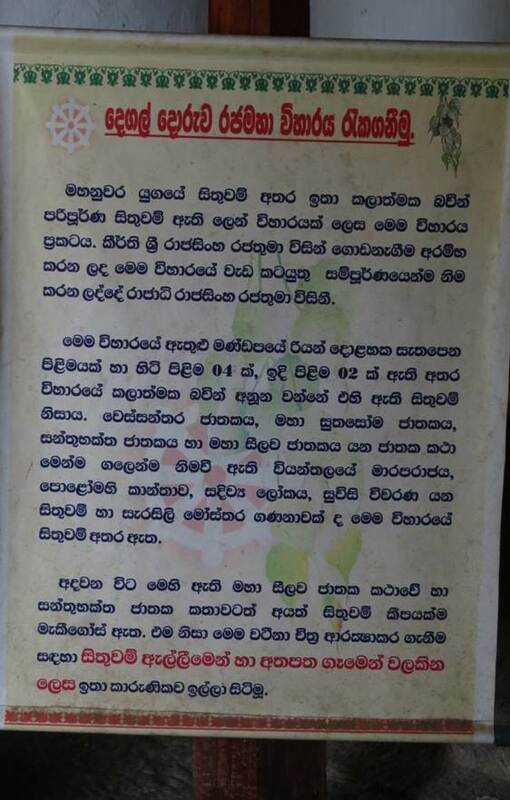 Out of them called Dewaragampola Silvatannee Unnanse (දෙවරගම්පොල සිලවතැන්නේ උන්නාන්සේ) was the famous. 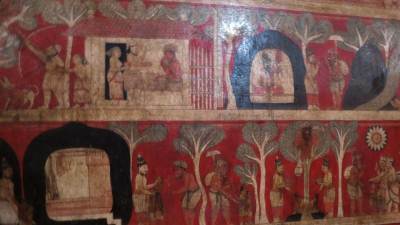 Four Jathaka stories and events of Buddha’s life were painted as continuous story at image house. 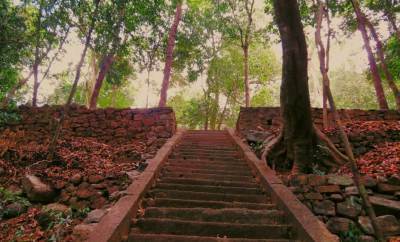 Story of Dewalaya is interesting. 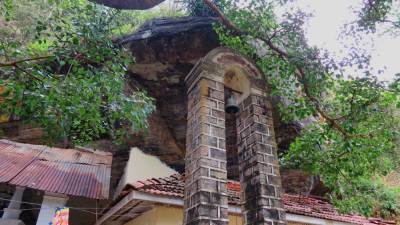 Before king built the temple Dewalaya was situated on top of temple rock. 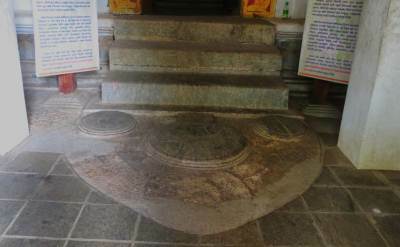 As it is not good to have a Dewalaya above the temple, King wanted to shift it somewhere else. 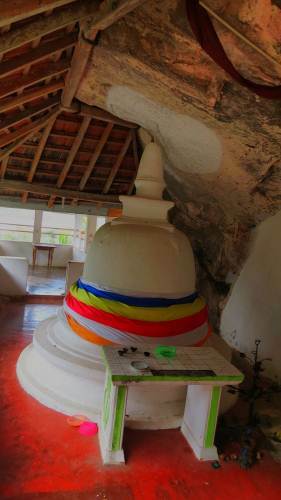 He has thrown his ring from top of the rock and decided to build the Dewalaya where ring has been found. So this is the place. Then we made our way to Galmaduwa temple which is situated nearby. This is one of the beautiful archeology buildings I have visited. It is in good condition after preservation. 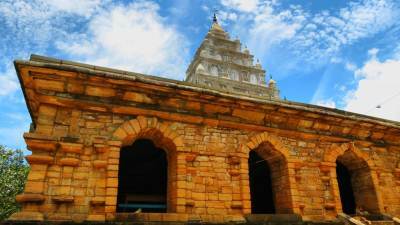 Galmaduwa temple was also built by King Kirthi Sri Rajasingha. 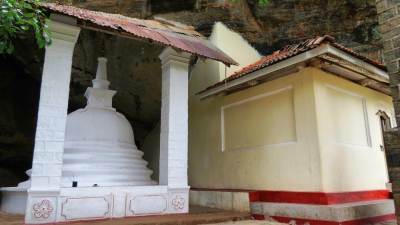 While on building he was heard of finding of Degaldoruwa cave and it shifted his attention to build that temple. 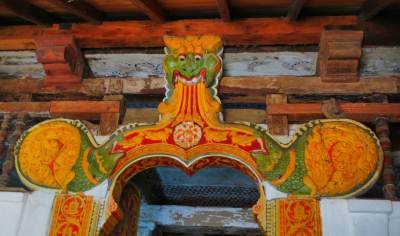 As a result this temple kept unfinished state. 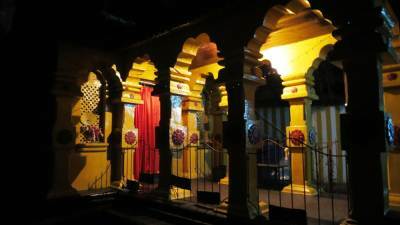 Influence of Hindu architecture on temple is seen here. We continued our way forward and joined with A26 road at Kundasale town. 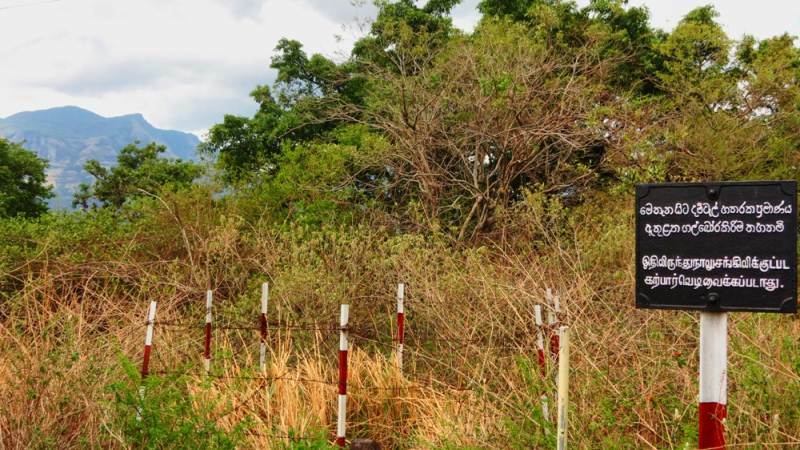 When we were passing the town noticed a board to Kundasale archeology site in left hand side. Nowadays only archeology land is there. It is considered as the place of Kundasale palace. We travelled about 1km from main road to reach there. 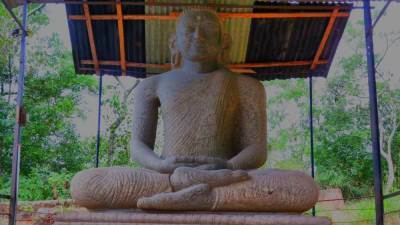 Then we travelled up to Digana town and got right turn to Bambaragala ancient temple which is situated 6km from Digana (දිගන) town. 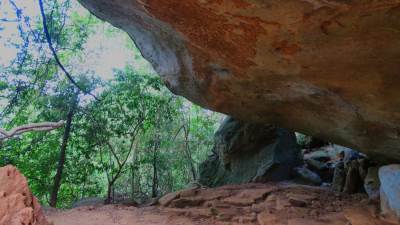 Bambaragala temple is situated at the base of Bambaragala and there are scattered caves (about 60) in this area. 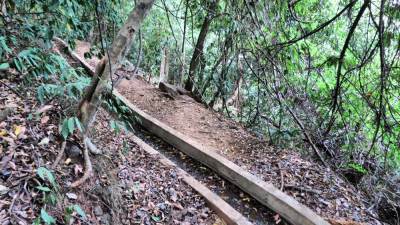 There is a foot pathway to top of Bambaragala, where you can have a nice view towards Victoria reservoir. 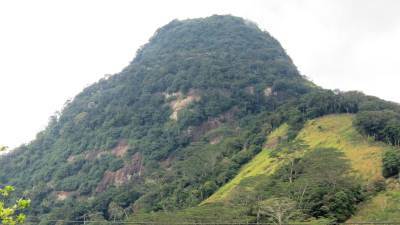 It takes about 45minutes to reach the peak. 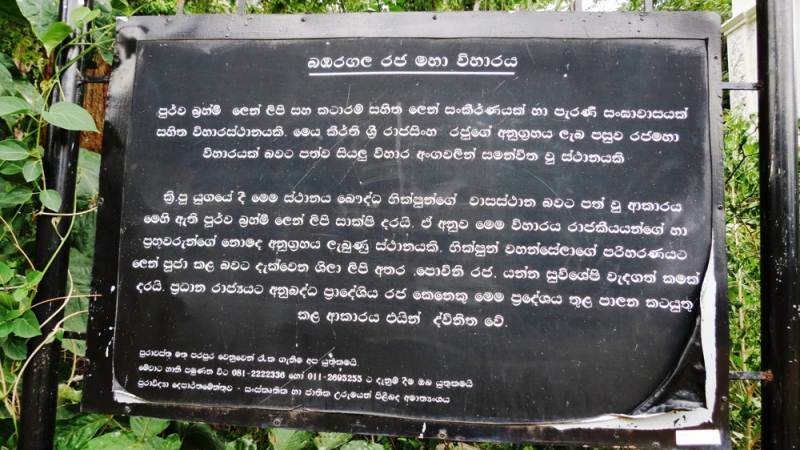 But we were not able to visit at Indrasala (ඉන්ද්‍රසාල ගුහාව) cave. 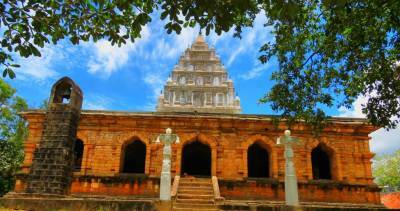 Bambaragala temple was built by King Kirthi Sri Rajasingha period and surrounding land was gifted to temple by the king. 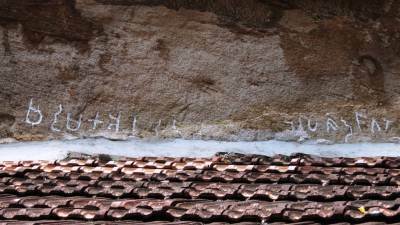 Indrasala cave is an important place where pre historic letters can be seen. 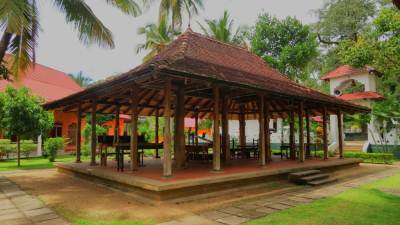 After visiting at Bambaragala temple we came back to Diagana town and had our late lunch. 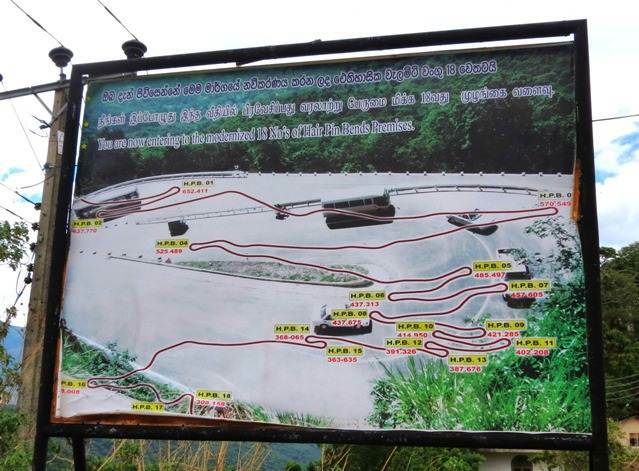 Then proceeded up to Moragahamula (මොරගහමුල) junction where we got right turn to reach Victoria dam observation point. 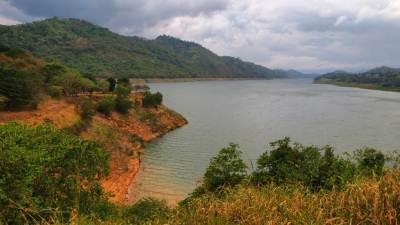 There is 8km from Moragahamula junction to Victoria dam observation point. 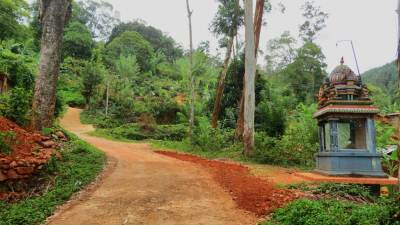 This road goes inside Vitoria-Randenigala-Rantambe sanctuary (VRR) and along the bank of reservoir. 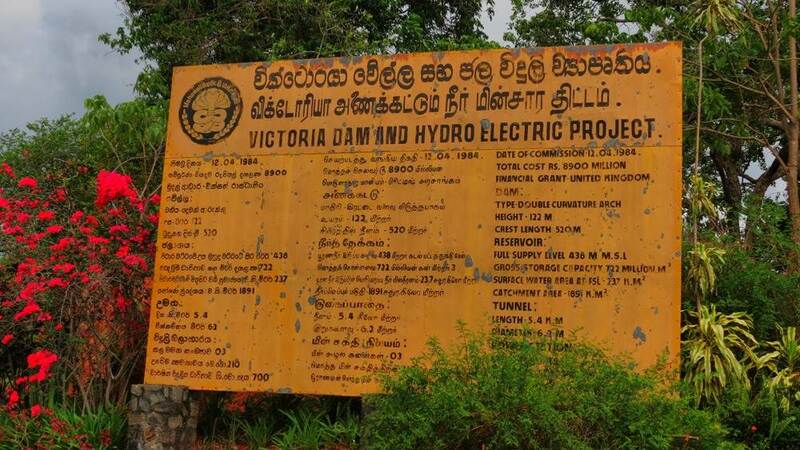 Victoria reservoir was built under Mahaweli project and has catchment area of 1869km2. 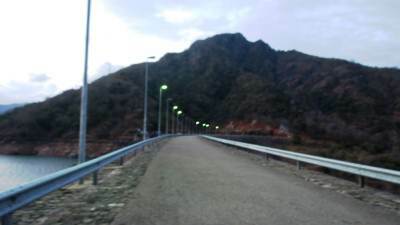 It’s tunnel is 5.4km long with it’s production capacity of electricity is 210MW. It was built with financial aid of United Kingdom. 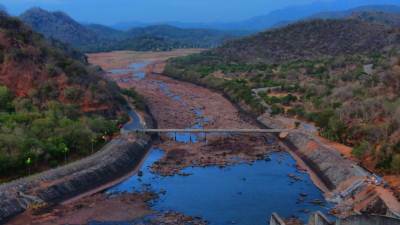 Victoria dam is an arch dam which has eight spillways and the tallest dam (122m) in Sri Lanka. 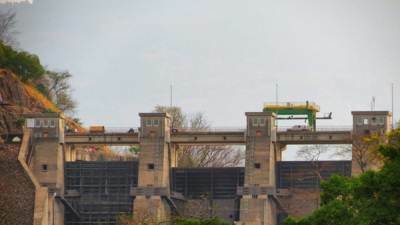 Dam gates need power only to close them. 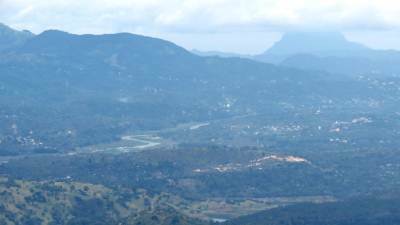 Victoria Dam, reservoir and eight spillways. 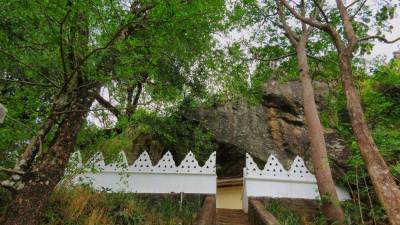 Our next place of visit was Bombure monument where last king of Sri Lanka-Sri Wickrama Rajasingha (ශ්‍රී වික්‍රම රාජසිoහ රජතුමා) was captured by British. 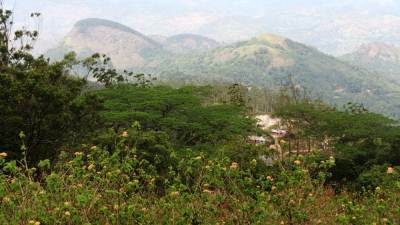 We passed Moragahamula junction and further drove towards Hunnasgiriya (හුන්නස්ගිරිය). At Bombure with a bend there was a gravel road in right hand side. 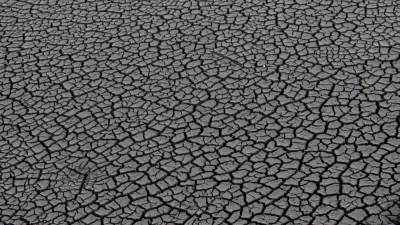 Soon after this road divides into two. 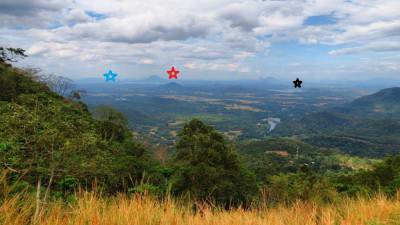 Right one is to Bombure Monument and left one is to another good view point called Wewathanna. 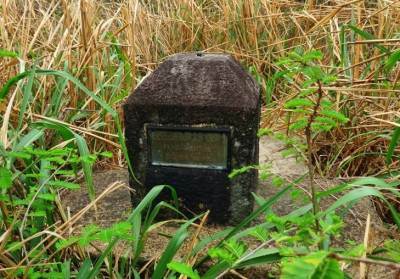 To reach Bombure monument, you have to go down along the road till road finishes. Then take right hand side foot pathways down along the edge of paddy fields. 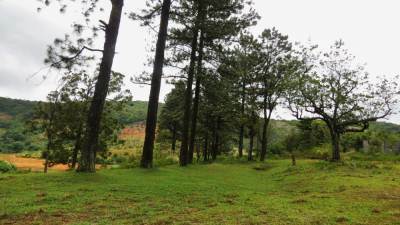 This foot pathway divides into two and left branch will bring you to Bombure monument. 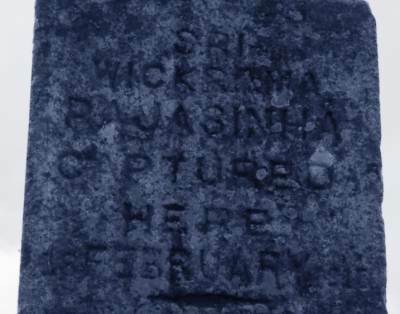 King Sri Wickrama Rajasingha, his two wives and mother were captured by British troops here at 18th February 1815. 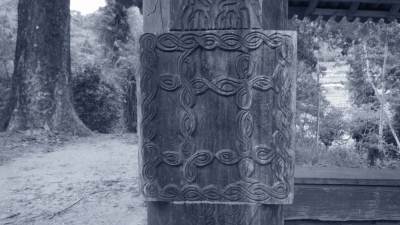 This stone pillar was established by British government in 1900. 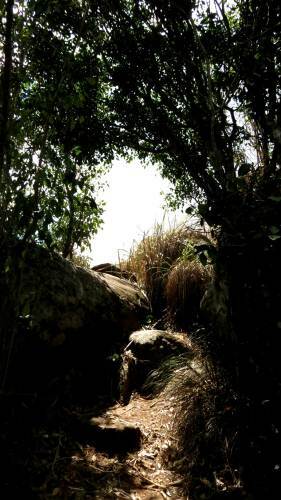 The Siyambala tree (සියඹලා ගහ) found near this was there even they capture the king. We came back to Theldeniya town to get our accommodation at Theldeniya Guest House. 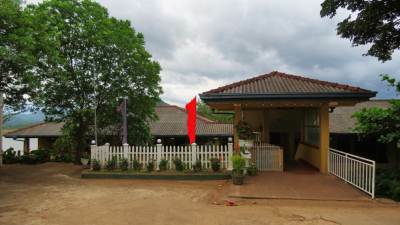 Theldeniya Guest House is situated at bank of Victoria reservoir opposite to Bambaragala. 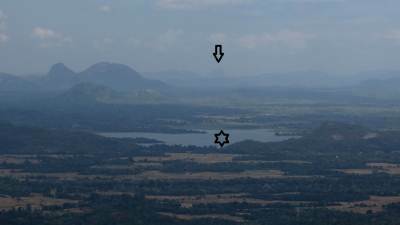 Piduruthalagala range was viewed far away and in a clear day towers on Piduruthalagala can be seen. It is a nice place to stay. As we had to cover a large area in this day, we started the journey early morning. First place of visit was Godamunne Samadhi Buddha statue. 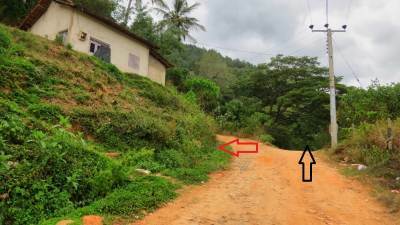 Soon you pass Theldeniya town Rangala (රoගල) road will come across in left hand side. 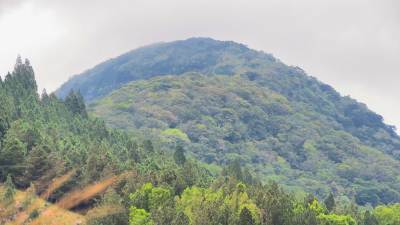 Godamunne can be reached along that road. 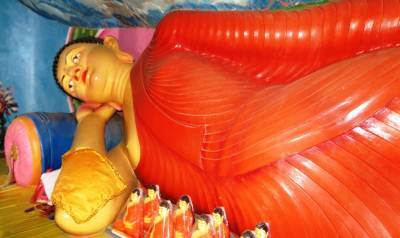 Godamunne Samadhi Buddha Statue. 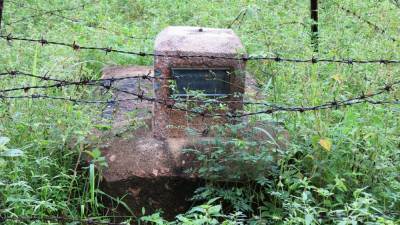 Belongs to Kandyan era. 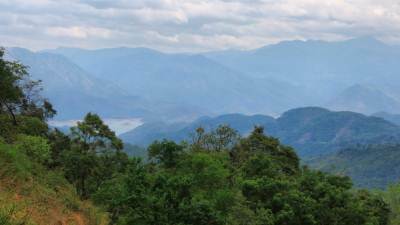 Wewathanna view point can be reached along the same road to Bombure. 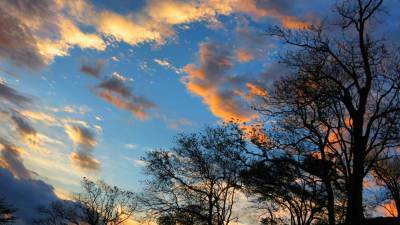 Soon you get into by road from main road, it will branch into two. Drive up in left hand side pathway. 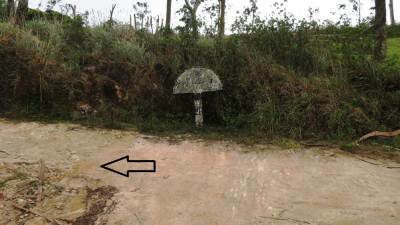 The road condition is terrible after Rajagala (රජගල) line houses and only can be approached by four wheel or bike. We took about 1hour to reach there by bike. 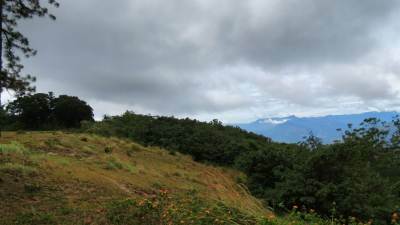 Wewathanna is a good view point of Dumbara valley. 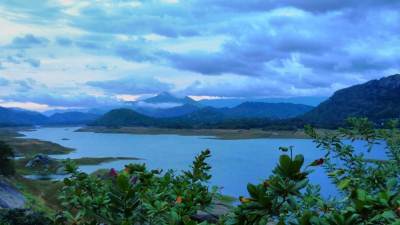 Victoria reservoir, Mahaweli River and Piduruthalagala can be viewed from here. 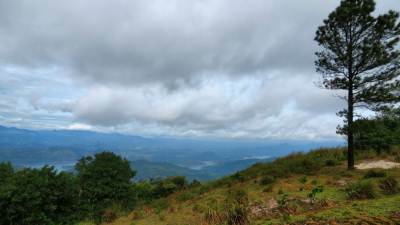 There is a lake situated closer to view point. 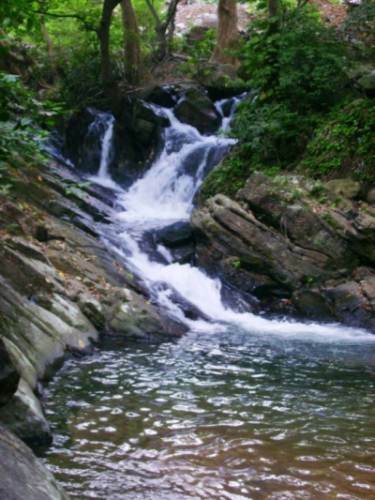 As water source is also there this might be a good camping site. We had our late breakfast from Hunnasgiriya (හුන්නස්ගිරිය). Next place for visit was Kewulegama Gal Len Temple. 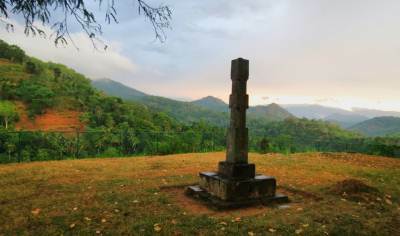 Hunnasgiriya is the highest point of A26 road. 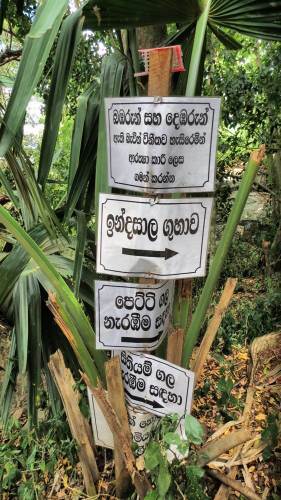 Only mortable road to Meemure (මීමුරේ) via Deenstone (ඩීන්ස්ට්න්) also starts from Hunnasgiriya. 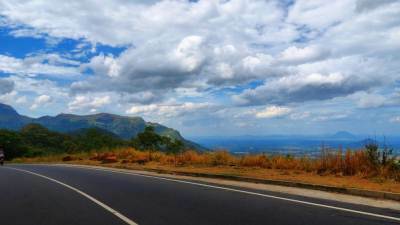 Take right hand side road from Hunnasgiriya town to reach Kewulgama. You will come across a junction with a transformer. Take left hand side road. 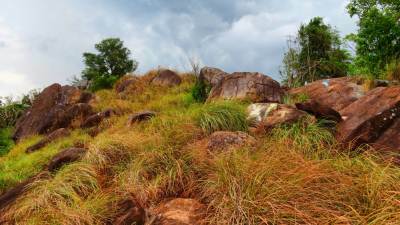 Before the temple an Ambalama (අම්බලම) would be seen. 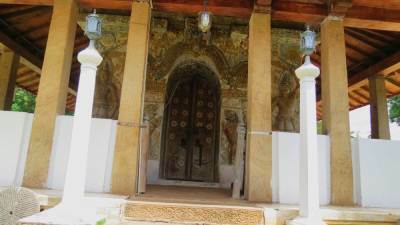 During Kirthi Sri Rajasingha period Kandy kingdom was invaded by Dutch. 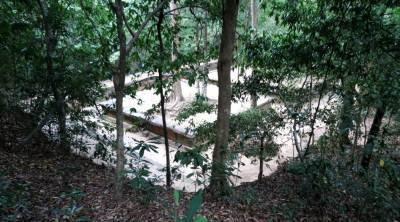 Then king has left to Hanguranketha and sacred tooth was brought to Kewulgama Gal Len Temple. 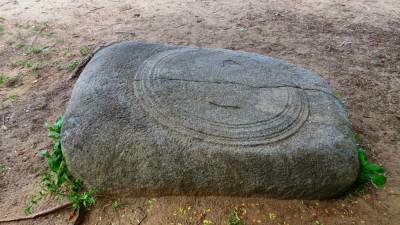 We came back to Hunnasgiriya town again and reached Ududumbara (උඩුදුම්බර) town. 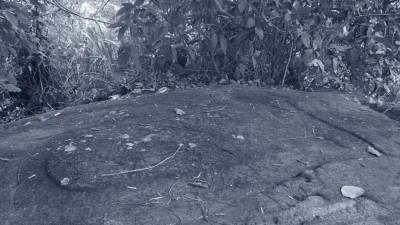 Our next stop was at Kowilmada where a stone mark placed by survey department can be seen. (In between 47th and 48th kilometer post in left hand side). 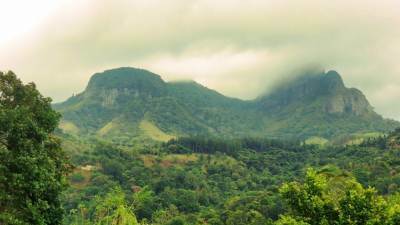 People at this area called this as the center of Sri Lanka. 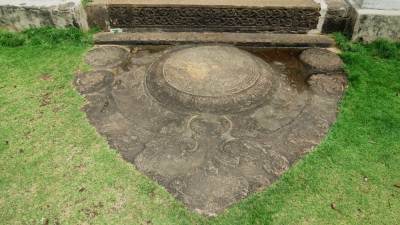 (Nalanda Gedige (නාලන්දා ගෙඩිගේ) also called center of Sri Lanka!). 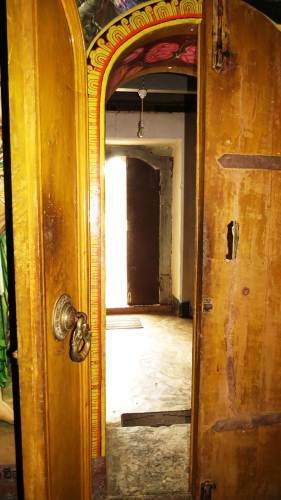 But it looks like a measurement point used by survey department. I have seen similar mark at Puttalama also. 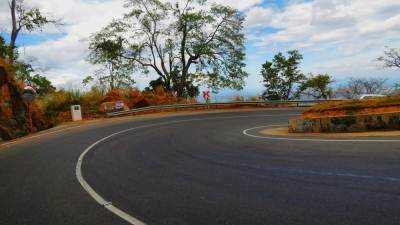 After passing Kowilmada, we came across Tampitiyana (ටැම්පිටියාන) junction where we got right hand side road to reach Pallepitawala Ambalama. It was about 4-5km from this junction to Ambalama. 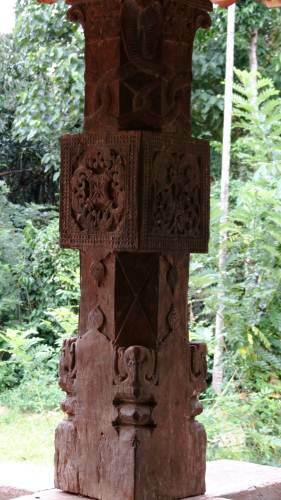 This Ambalama is also similar to Kewulgama Ambalama where you can see nice wood carvings of Kandyan era. 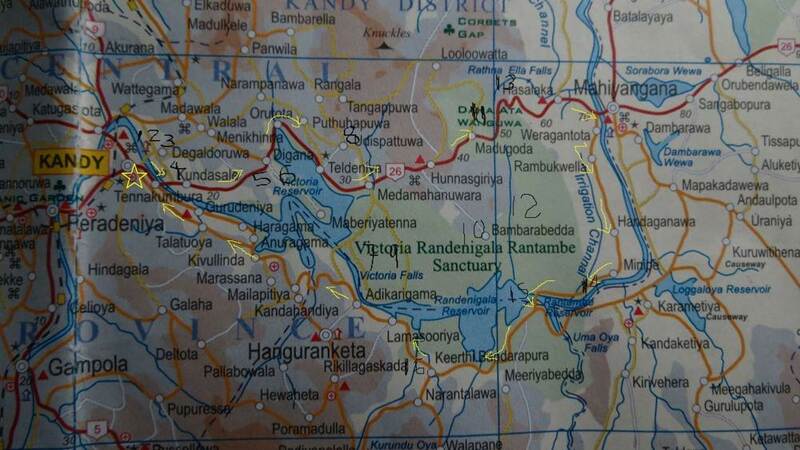 Then we came to Tampitiyana junction and moved towards Mahiyangana. 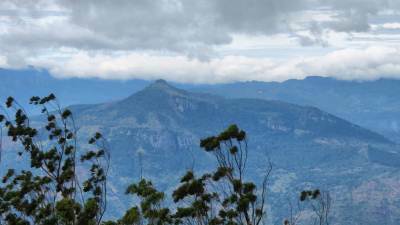 Giants of Knuckles massif-Yahangala, Kehelpothdoruwa, Dumbanagala and Sphinx rock were seen in left hand side of our way. 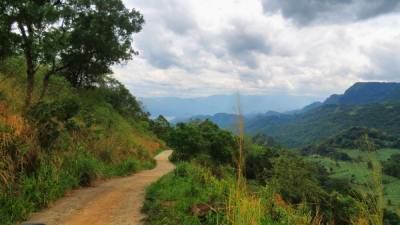 We stopped at the beginning of 18 hair pin bends to have some snaps. Black star-Mapakada Lake. Black arrow shows Friar’s hood. 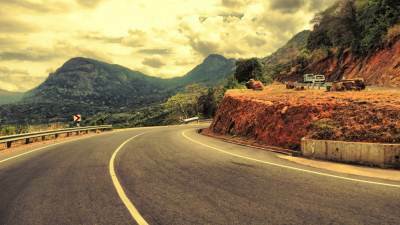 We passed Gurulupotha once we got down 18 hair pin bends. 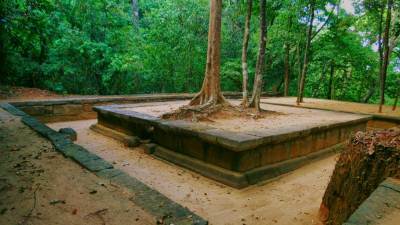 Gurulupotha archeology site is situated near to Gurulupotha Rest House. 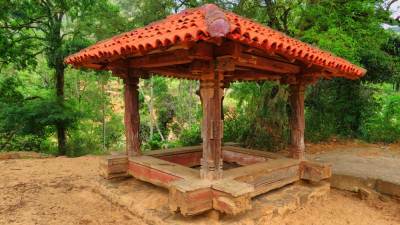 It is called “Seetha Kotuwa” (සීතා කොටුව) where Seetha was kept by King Rawana (රාවණා රජතුමා). 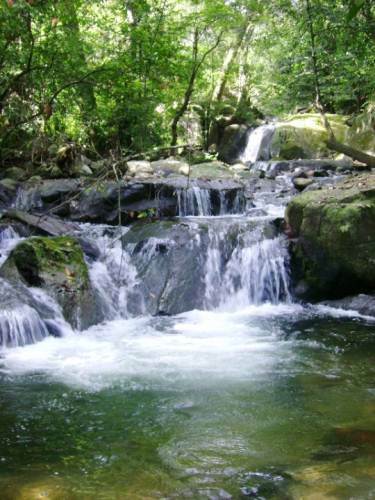 I have been there 5years ago and there were beautiful cascades down to archeology site called Seetha Kotuwa waterfalls. 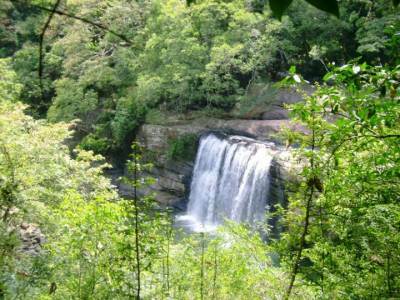 Seetha Kotuwa waterfalls snapped 5years ago. Hasalaka was our next stop where we had our lunch and turned to Minipe with hope of joining with Mahaweli Raja Mawatha. 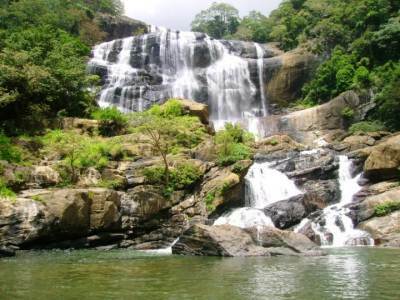 Here we had to miss two major waterfalls- Rathna Ella (රත්න ඇල්ල) and Kaluwa Watuna Ella (කළුවා වැටුන ඇල්ල) due to lack of time. 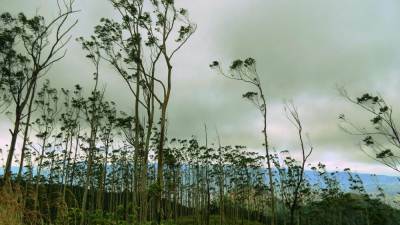 The road went parallel to Minipe Yoda Ela (මිණිපේ යෝධ ඇල) and entered Sri Lanka’s largest sanctuary- Victoria-Randenigala-Rantambe (VRR). We came across Rantambe National Cadet Center. 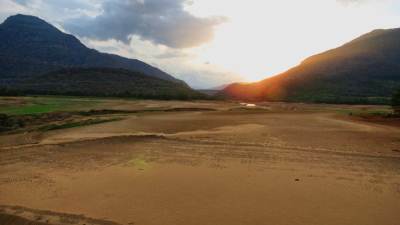 At this junction we directed to Rantambe dam and reservoir. 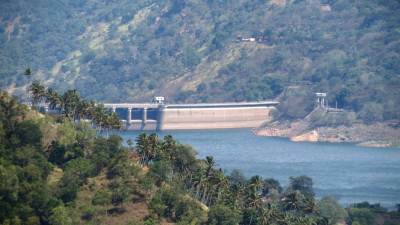 Rantambe dam and power station is the most downward project over Mahaweli River in Dumbara valley. 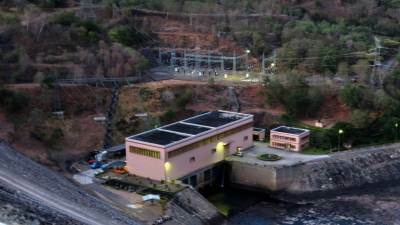 Rantambe has catchment area of 3118Km2 and production capacity of electricity is 52MW. Power station is at left bank of the dam. It was built with financial aid of Germany. 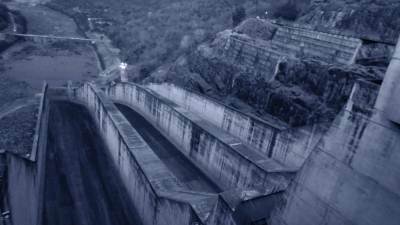 Rantambe dam is a gravity type concrete dam (42m high) which has three spillways. 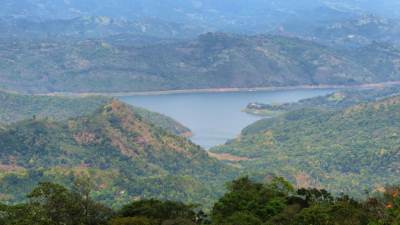 When we visit Rantambe reservoir has been completely emptied for repair in the dam. Starting of Minipe Yoda Ela-Minipe Anicut. 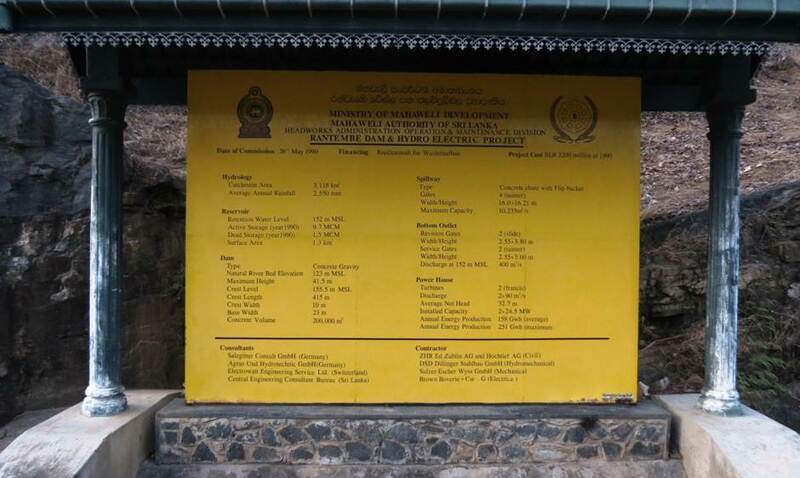 Following Rantambe we proceeded towards Randenigala dam. Dam and overspill were visible to the road. 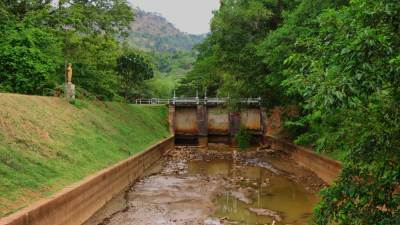 We entered Raja Mawatha and walked over the dam. 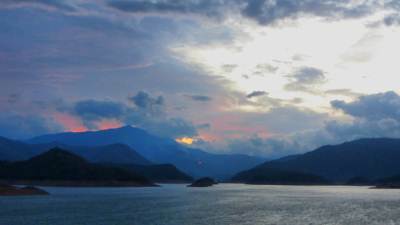 It was nice to stay over the dam when dusk comes. 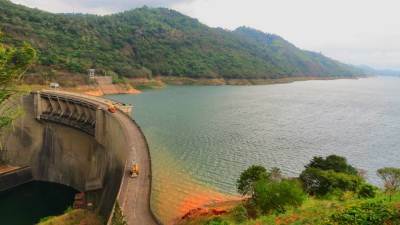 Randenigala reservoir is the largest one built under accelerated Mahaweli project. 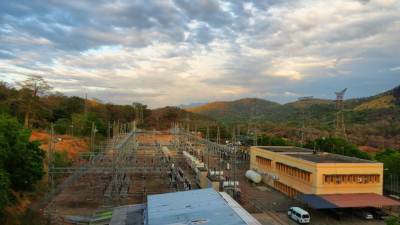 Randenigala has catchment area of 2330Km2 and production capacity of electricity is 126MW. 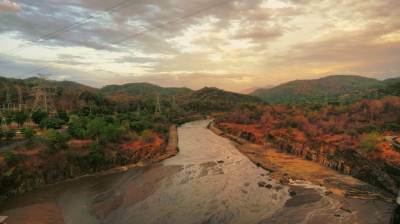 Power station is at left bank of the dam. It was built with financial aid of Germany. 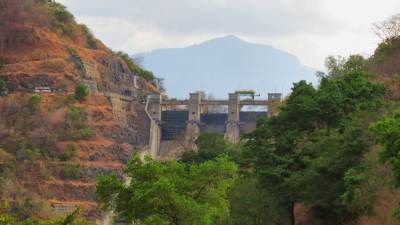 Randenigala dam is an embankment type dam mostly made of rocks. 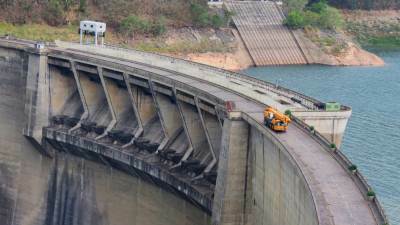 It has three spillways. 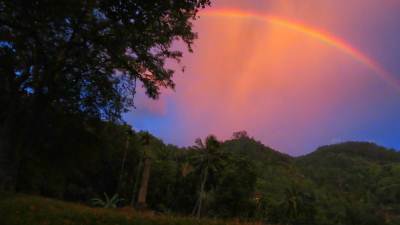 It ended our two day visits to Dumbara valley and we reached Kandy by 9pm. 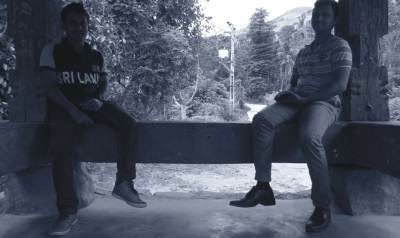 Before that we stopped at one place on our way to Kandy. 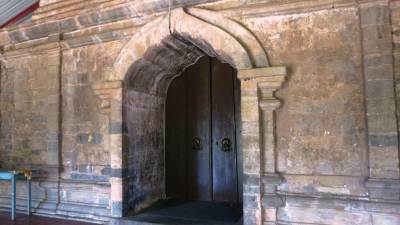 That is Keerthi Bandarapura ancient dewalaya. Thank you for reading. Have a safe journey.